After an excellent weekend, Yash Raj Films’ latest presentation Sui Dhaaga is heading strongly on weekdays as well. Due to a holiday of Gandhi Jayanti, it got a solid boost on Tuesday and now all set for a big total in the first week. This shows the power of good content, despite being a non-masala offering, it is attracting the major audience nationwide. After Dum Laga Ke Haisha, director Sharat Katariya has given another hit i.e. Sui Dhaaga in collaboration with the production house YRF and once again proved that simple is beautiful. 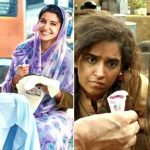 For its relevant & good content, the movie has received mostly positive reviews from the critics as well as the audience and gained a solid word of mouth. Despite Asia Cup 2018 Final, Varun Dhawan – Anushka Sharma starrer this content-driven romantic comedy-drama has registered a decent opening and collected 8.30 crores on Friday. With a healthy jump over the weekend, it raked the business of 12.25 crores on Saturday and 16.05 crores on Sunday, that took its 3-days total to 36.60 crores from 2500 screens. 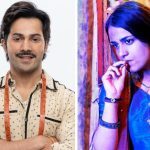 Now Sui Dhaaga is running on weekdays but still has a very good hold over the audience. On Monday, it witnessed a drop of only 15.66% than Friday and minted 7 crores. Then on Tuesday, due to a holiday, the movie took a noticeable jump and bagged 11.75 crores. On the next day i.e. 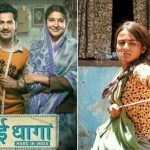 Wednesday, with a considerable drop, Sui Dhaaga collected 3.80 crores and raised 6-days total to 59.15 crores. 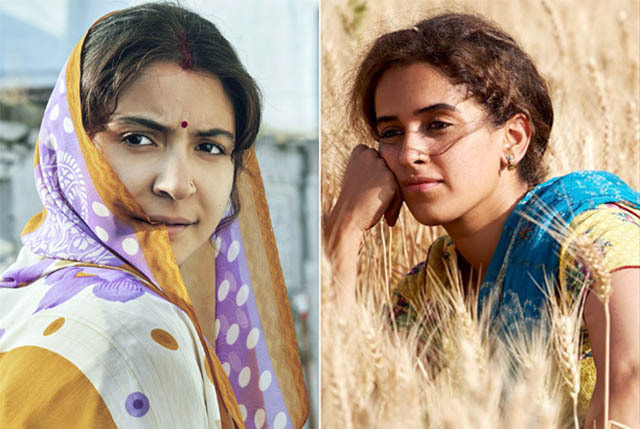 On the other hand, director Vishal Bhardwaj’s Pataakha has also received positive reviews but still remained low over the weekend and collected 4.05 crores in the weekend that included 0.90 crore on Friday, 1.40 crores on Saturday & 1.75 crores on Sunday. Now it is running on weekdays and still has a steady pace due to the favorable feedback of viewers. On Monday, Sanya Malhotra and Radhika Madan starrer got a higher response than Friday and collected 0.94 crore. Then on Tuesday, there was a holiday, so the movie took a fair jump and minted 1.56 crores. On Wednesday, with a usual drop, Pataakha bagged the amount of 0.56 crore and raised 6-days total to 7.11 crores from 875 screens.